Separate Non-process water - water used in bathrooms (eg hand basins and showers), kitchens, toilets, air conditioning (eg cooling towers) and via some internal hoses. Water saving devices for non-process water include the installation of dual flush toilets, low flow showers and low flow aerators in basins and sinks. Separate Process water - water used in any production your business may undertake (eg in the production of steel, wine or food products). For example, in intensive animal farming enterprises, process water would include the wash down water. In a metal fabrication factory, the process water would include the cooling water. In food processing plants (eg milk and pork) would include any water used in the food production process. Cooling tower and engine room reverse osmosis bleeds captured to replace drinking water used for batch wetting and in the urinal. 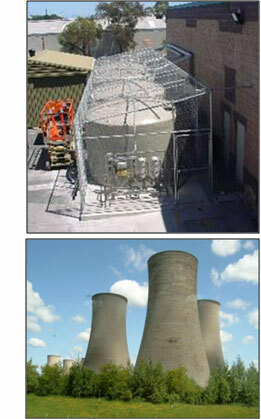 Improve cooling towers by changing the chemical dosing system and installing meters. Increase the operating temperature of the compressors to reduce load on the cooling towers. Three cooling towers were found to be running unnecessarily, and have now been turned off. Install 6 star urinals and process water to flush factory urinal. Install push button hand wash taps within the amenities to allow only less than 6 litres per minute (L/min) flow and low flow showers. Install trigger nozzles on all hoses. Install rainwater tanks and optimise collection drains from capture areas.